One of the highest-rated dramas on PBS in 20 years, "Victoria" returns to RMPBS for Season 2 on January 14th, 2018! Please join us for a FREE preview screening of the Season 2 premiere. Follow the "REGISTER" links below to RSVP and for more information. In the meantime, catch up on "Victoria" Season 1 on RMPBS Passport, or tune-in each Sunday for the rebroadcast leading up to the January 14th premiere of Season 2. 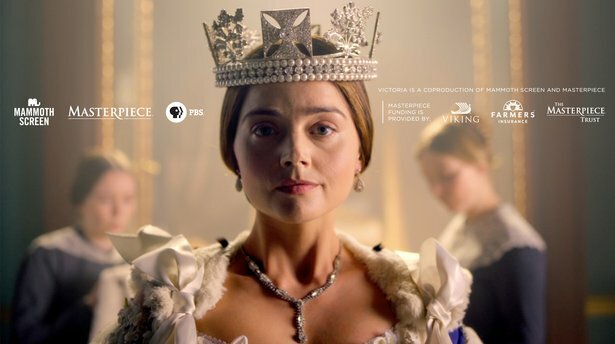 "Victoria" stars Jenna Coleman (Doctor Who) as Queen Victoria in a highly anticipated series that follows the drama of the candid, spirited monarch who was perhaps the first woman to seem to have it all. For more information, visit Victoria on Masterpiece PBS.